Musicals are often adapted from other media. Movies, television shows, and even comics have provided inspiration for some of Broadway’s biggest hits (and flops). So it’s really no stretch that the internet could eventually do the same. 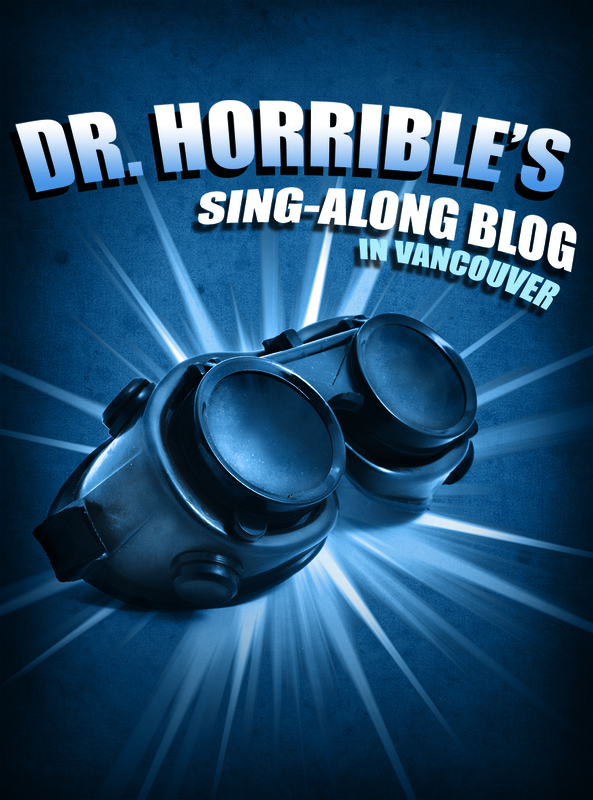 Broadway West and Relephant Theatre present the Vancouver premiere of Dr. Horrible’s Sing-Along Blog. Created and written by Maurissa Tancharoen, Jed Whedon, Joss Whedon and Zack Whedon, music by Joss Whedon and Jed Whedon. Featuring Jon Lachlan Stewart, Shane Snow, Christina Hardie, Steven Greenfield, Jaclyn Rae, Anna Kuman, Kirk Smith, and Samantha Currie. Directed by Steven Greenfield, choreography by Shane Snow, and musical direction by Steven Greenfield. Broadway West and Relephant Theatre present Dr. Horrible’s Sing-Along Blog from September 10 – 19, 2010 at the Firehall Arts Centre, 280 East Cordova Street, Vancouver. Tickets are available online. Back to You – the Life and Music of Lucille Starr opened the 27th season of the Firehall Arts Centre on Wednesday with a taste of Canadian rockabilly and country. 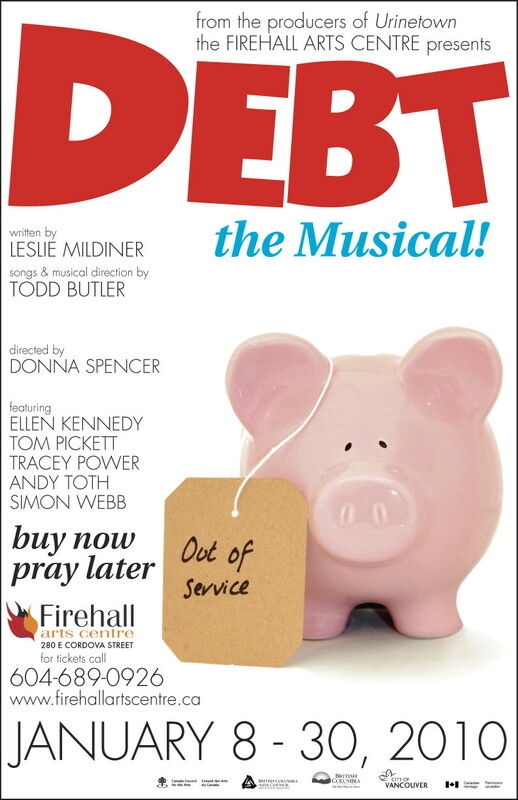 This bio-tuner, written by local playwright Tracey Power, unfortunately, has little to distinguish itself from the multitude of other similarly structured biographical musicals. Everyone, even those who have never heard of Canadian country singer Lucille Starr, will recognise the underlying story. Talented girl meets boy and they become big stars. 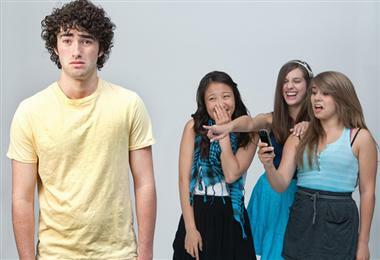 Boy ends up being no good and drags girl down with him. Girl overcomes the odds and makes it again on her own. That’s not to take away from the real-life Lucille Starr’s experiences and successes. Starr made it big in a time when there was no Canadian music industry to speak of. But this staged version doesn’t add anything new to an already overcrowded genre. The first act is overly-formulaic and poorly paced. Beverley Elliott plays Lucille as she returns to her hometown of Coquitlam for a comeback concert in 1981. Lucille then recalls a series of loosely linked vignettes of her early days as she sings her way to fame. Elliott does a fine job with the music but is given little opportunity to do much else beyond a few wisecracks and one-liners. The acting and emotions are left in the hands of the versatile and always enjoyable Alison MacDonald (Songs for A New World, Not Another Musical Co-op) as the younger Lucille and Jeff Gladstone as her music partner and eventual husband Bob Regan. MacDonald and Elliott are both accomplished singers and they easily breeze through the score. The story is told completely through Starr’s eyes and, maybe as a result, her husband comes off as one-dimensional. Gladstone turns on the charm but, as written, his character never quite connects with the audience. If the show has one strength, it’s the music. Musical director Steve Charles has successfully knit together a tight unit with musicians Jeremy Holmes and Jimmy Roy. Luckily, the pace picks up in the second half when more attention is paid to the details and the personal emotional highs and lows of Starr’s life. But it seems like too little too late. Back to You, while far from a complete disaster, never ventures into anything worthwhile and is mostly ordinary and forgettable. Back to You – the Life and Music of Lucille Starr, presented by Musical Theatreworks, plays from September 30- October 10, 2009 at the Firehall Arts Centre, 280 East Cordova St. Tickets are available by calling the box office at 604-689-0926. The Firehall starts its 27th season with Back to You – the Life and Music of Lucille Starr. Presented by Musical Theatreworks and written by Tracey Power (The Jungle Book), Back to You stars Beverley Elliott, Alison MacDonald (Songs for A New World, Not Another Musical Co-op) and Jeff Gladstone. The musical journey of Back to You begins in 1981. Lucille Starr has come home to Coquitlam, BC to give her first solo concert in 25 years. It’s her comeback tour, in more ways than one and her nerves have peaked. The last time her hometown crowd saw her on stage, it was with their other hometown sweetheart, Bob Regan. Coming home has stirred up a lifetime of memories – from the duo’s rise in the country-music charts, her legendary solo career and international acclaim, to the loss of her voice and lengthy recovery. Now here she is, the first night of her comeback tour, a tour that ultimately brings her back to her music, back to herself and back to you. Directed by Barbara Tomasic, musical direction by Steve Charles, set and lighting design by April Viczko, and costumes by Barbara Clayden, Back to You plays from September 30- October 10, 2009 at the Firehall Arts Centre, 280 East Cordova St. Tickets are available by calling the box office at 604-689-0926.